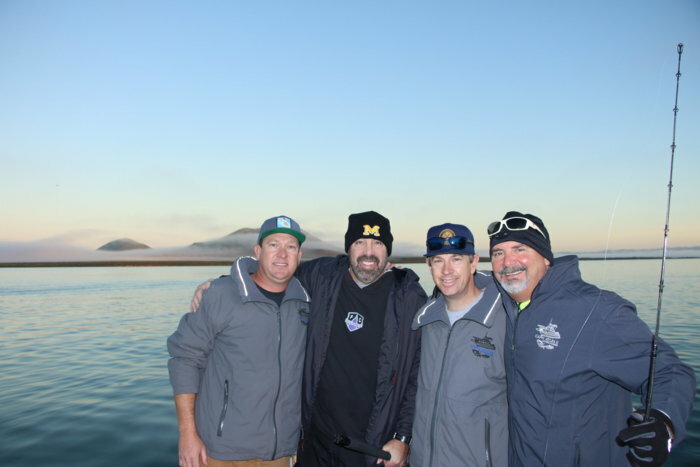 THE BREAKERS,SAN QUINTIN BAY FISH REPORT. Discussion in 'Baja Mexico Fishing Reports and Discussion' started by Captain Juan SQ, Jan 19, 2019. 1/19/19 windy and cold yesterday sock'd in today,vis 150',full moon ripping tide and current no wind,swell 8 to 10 at 15 seconds...not bad for mid jan in the eastern pacific,the yellowtail fishing was ok,i was fishing with team los guapos,we went 10 for 15 hook ups,fish were from 10 to 20 nice and fat,hard pulling,sock in all day,dosent happen often But it douse happen,fish'd the brakers aka el 240,with the bigger swell and a ripping current the high spot was exposing its self,i have this high spot VERY well maked on my gps but with limited vis and fishing neer by our pucker factor was 10,10 beening highest,HaHa,by mid day and low tide it was breacking often,take a look. id say its 8 to 10 feet out of water,dagerous looking and dangerous felling,we stop'd fishing got within a 100 yards from thr highspot and took pics and vid,a sense of ergency was running tru my body,like fear,i felt alive and full of life,Escard,OK ennoff of that lets go fishing. team los guapos,cap'n dan,tony,matt and mr brent. part of the bay was clear,we made easy baite. they were huge that season cap'n brent. my friend mr rick wooddley and his fishing wife miss Kelly,rick on fish....always. captain tito off to the fishing grounds. Susana, Tackleho619, gved823 and 16 others like this. Wow, that rock looks gnarly!! Captain Juan SQ likes this. Cool report and pics. Never seen Breakers break like that. Thanks for sharing. That shot of Tito’s boat is really cool. denis, Leslie. Christensen and Captain Juan SQ like this. That rock has found a few boats over the decades. Awesome spot, great day of fishing there boys!! Bottom Line and Captain Juan SQ like this. 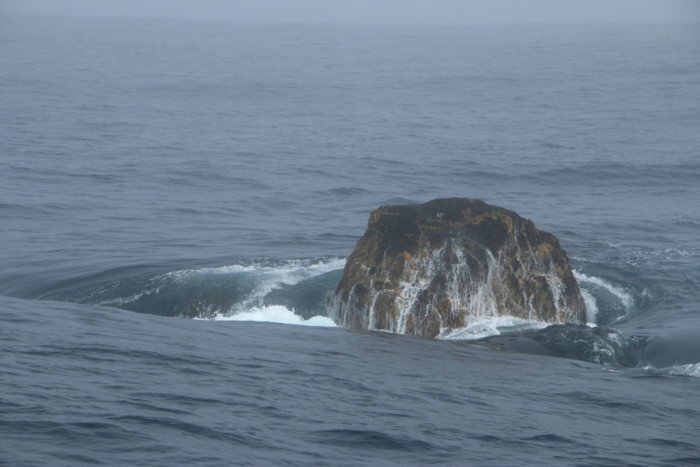 I saw that rock a few months after the Fishing Fool sunk out in that area. You could have surfed the breakers.I was on the Holiday I yelled at at capt Giffin . Lets get the hell out of here. Captain Juan SQ and surf launch like this. KeyWest 2300 Bluewater "Cap'n Atun II"
We had a great time as always Cap'n Juan. Thanks for all you do do put us on the fish. Good times and a lot of laughs..
Any one looking for some good winter yellow fishing, now is the time to head down to SQ! Awesome shots of the 240 rearing it’s ugly head. gracias chato,come on down,winter yellowtails are in,all like you likum on iron. Just got back from a trip to Asuncion. Your tocayo is doing well. Lots of fish and warm weather. Next up, the 240. See you soon Capt. Juan. Leslie. Christensen and Captain Juan SQ like this. nice report there Mr. Juan yup I remember you pointing that damn rock out to us couple years ago. It wasnt that high out of the water. Totally understand your pucker factor!! good to see you on this forum mr stone,hope to seeya in Gonzaga or bola this coming spring/summer,fishonnn.